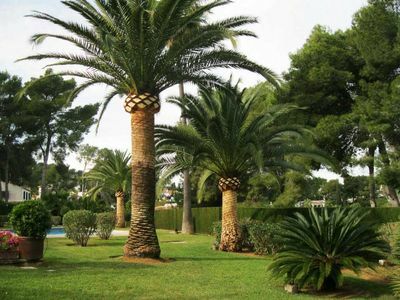 As you might have read in my article about growing palm trees, I have always liked gardening in general, and been amazed by the palm trees in particular. 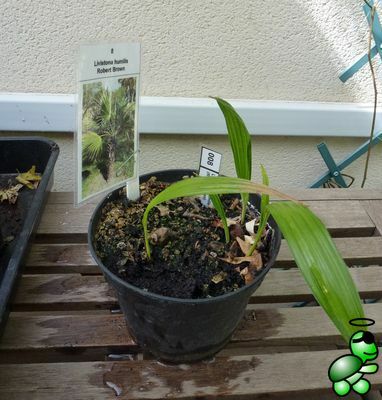 Here you will find a brief presentation of the species in my small, but growing collection. 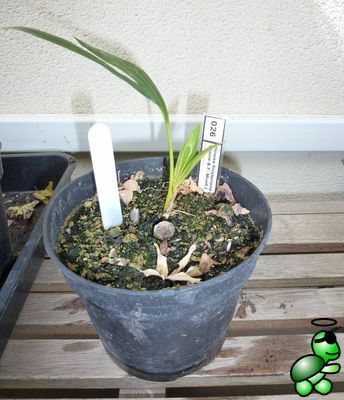 I will continously update the entries with photos, so you can see the progress. 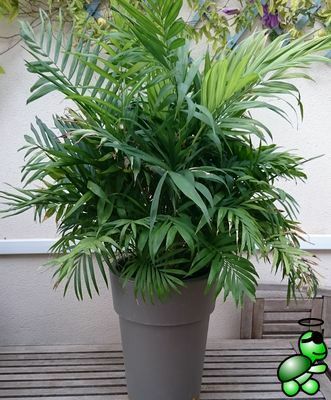 Currently all the palms are planted in various sized pots (depending of age and size), but my dream is to plant them in soil in my own garden some day. 2016-10-25: Update with 6 additional entries. 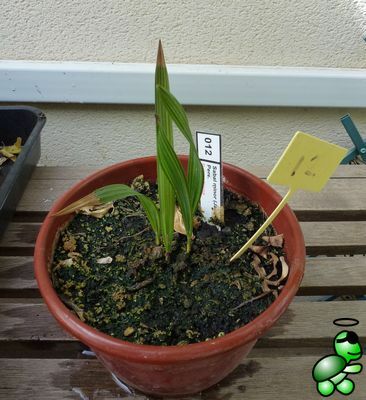 2016-10-11: First release of the list with 14 entries. 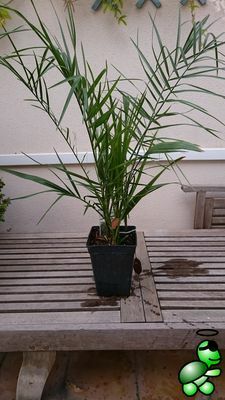 I purchased my bamboo palm from a local plant nursery. 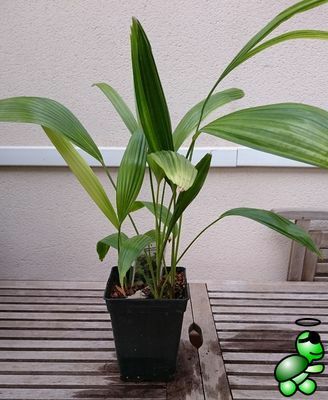 It is actually not a palm, it's more like 50 small palms. 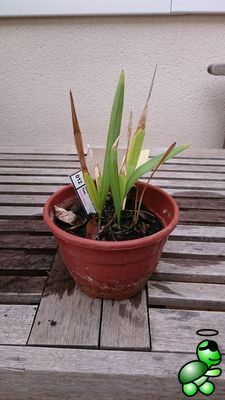 Since last year, they have grown quite a lot, and I will have to find a bigger pot to give the roots some more space. 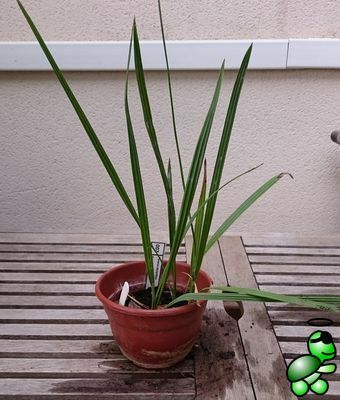 Included in my collection in 2013-06. 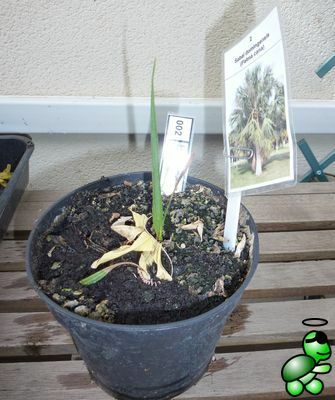 This is one of the most common palms here in Spain, and it is very easy both to find and germinate the seeds. 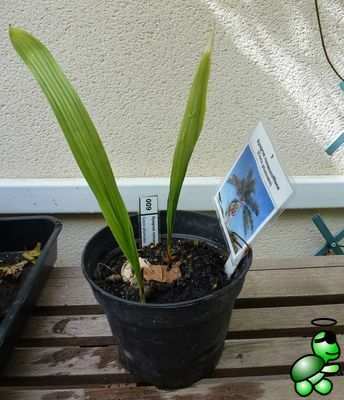 I like this palm, being one of the classics, and I hope my specimen will grow mature without being infested by the dreaded red palm weevil. Included in my collection in 2013-02. 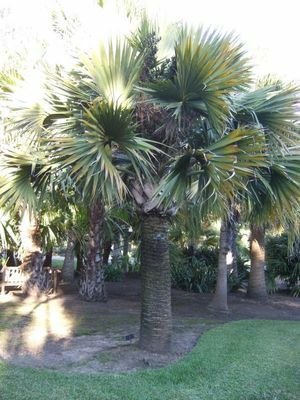 This is another fan palm, which does not reat the height of the Washingtonia palms which are common in the area where I live. Included in my collection in 2013-02. 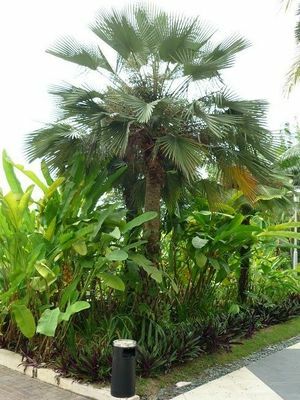 While I prefer the palm trees having a flat surface of the trunk, the Chinese windmill palm is a classic fan palm and has a given place in my collection. 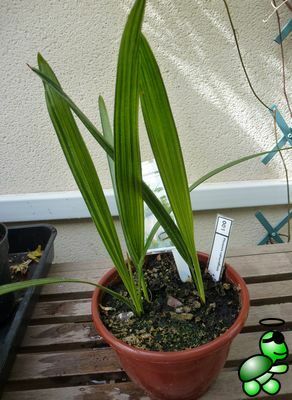 Included in my collection in 2013-02. 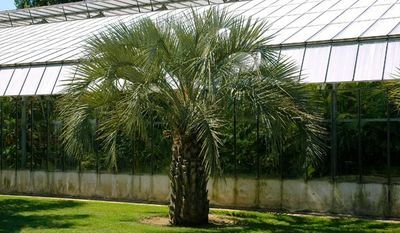 The Date palm is another of the palms growing naturally in this area and the seeds of my palms come from a local specimen, which adds value. 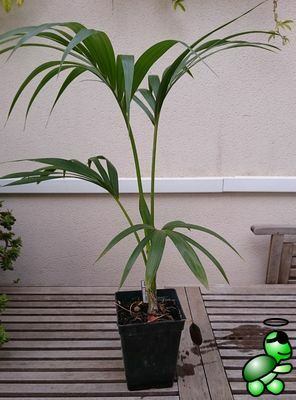 While not being one of my favourite palms, it has a given place in my collection. 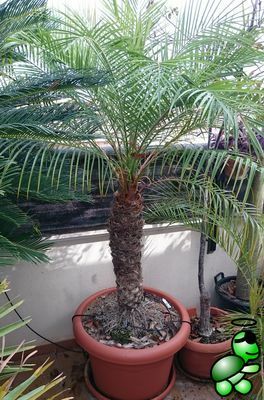 Included in my collection in 2013-09. 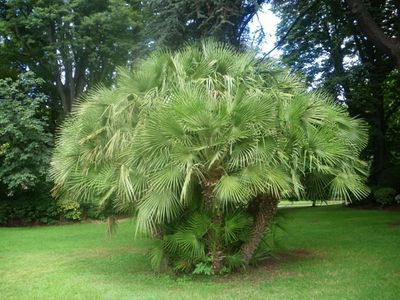 This is another classic fan palm, which is quite common around where I live. 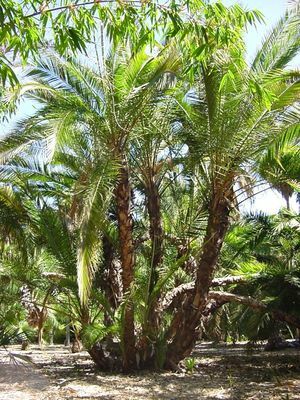 I can pick seeds at any time from a large number of mature desert fan palms near my house. One of my favourites! Included in my collection in 1900-01. 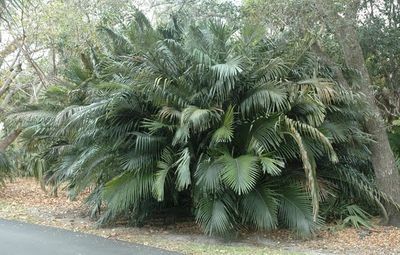 I am very fond of all the Sabal palms, and the Dwarf Palmetto is no exception. Included in my collection in 2013-02. 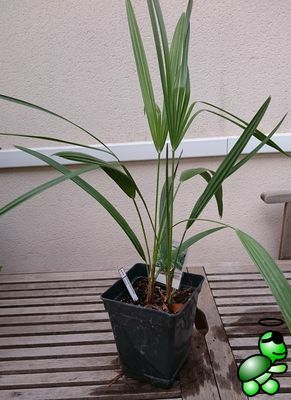 My Formosa Palm has still not picked up the growing pace. 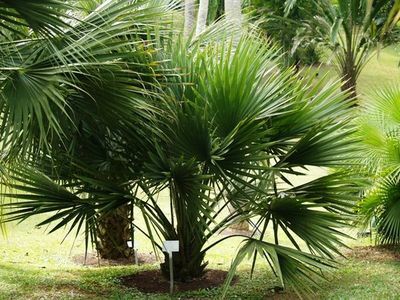 When its grows up, it will form part of the smaller palms in myc collection. Included in my collection in 1900-01. 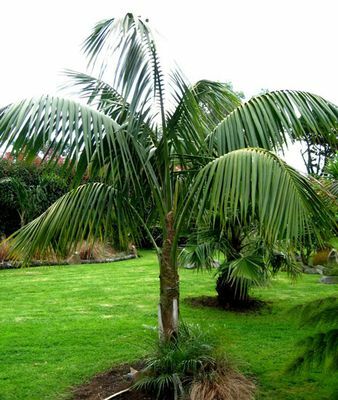 The Guadalupe palm is another beautiful falm pal with a thick trunk. 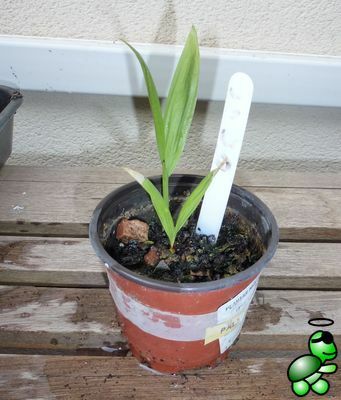 My specimen is growing nicely. 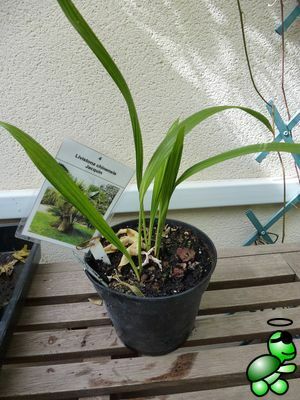 Included in my collection in 2013-02. 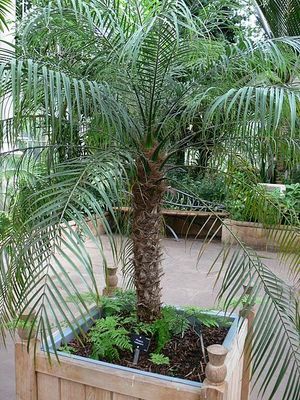 This is probably my favourite palm since I first saw it in the botanic garden in the city where I live. 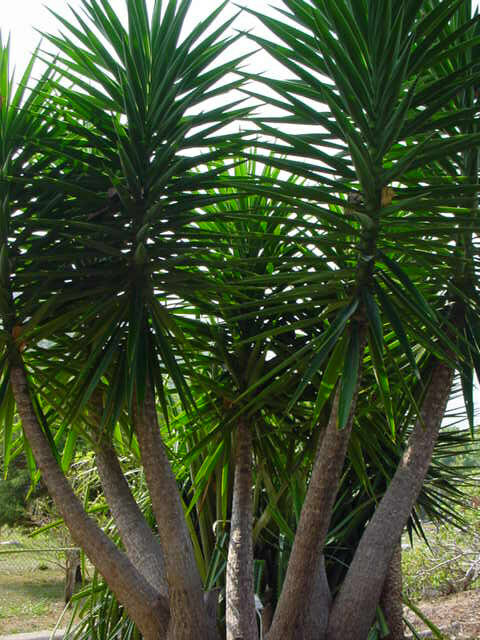 I am amazed with the extremely hard and even surface of the trunk. 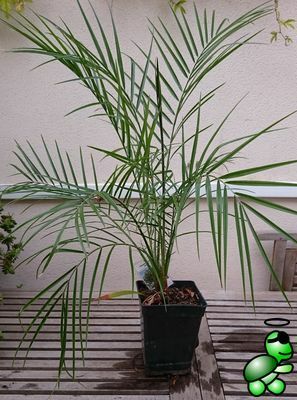 My Hispaniola Palmetto is still very small, but I hope to grow old together with it and watch it grow big. Included in my collection in 2013-02. This is the most recent incorporation in my collection. 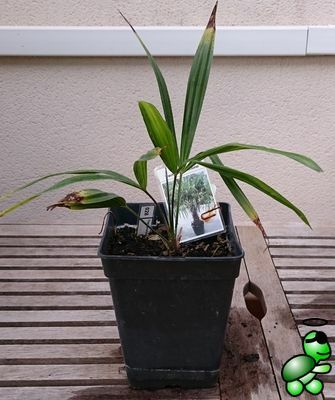 I purchased some 10 different palm tree seeds, but my rudimentary technique to germinate the seeds did not function as well for the purchased seeds as for the ones I have handpicked at different botanic gardens. 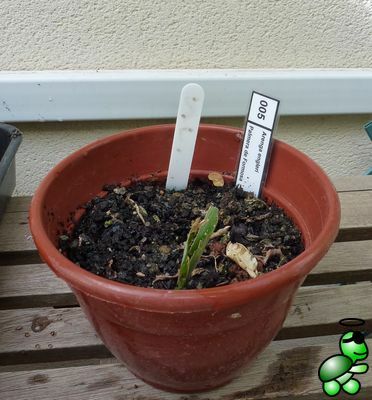 Included in my collection in 2014-08. 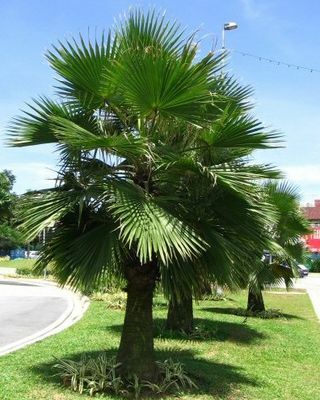 The Kentia palm also belong to my favourite palms. 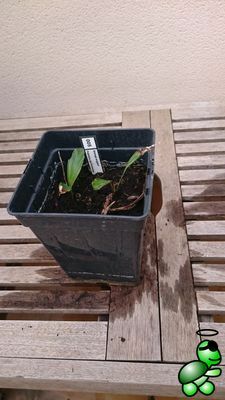 I had a grown-up specimen (purchased) which sadly died. 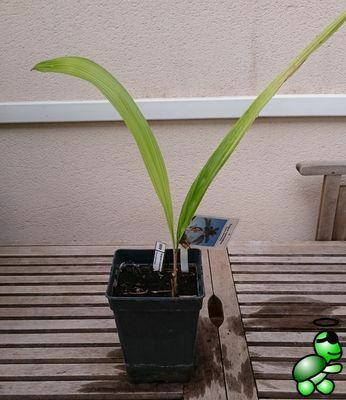 The Kentia I have grown from seed is progressing well, and I will enjoy watching it grow bigger. 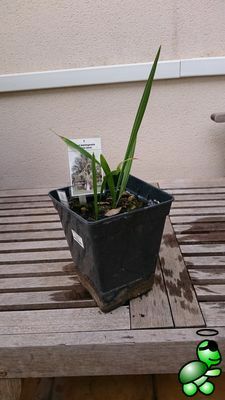 Included in my collection in 2013-02. 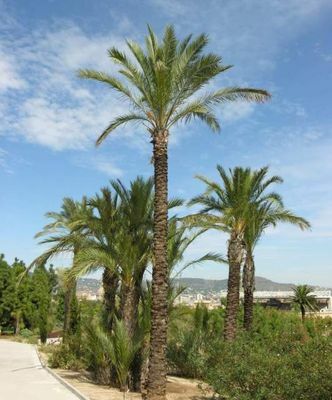 The Mediterranean dwarf palm is another of the palm trees that you can find growing naturally here in Spain. 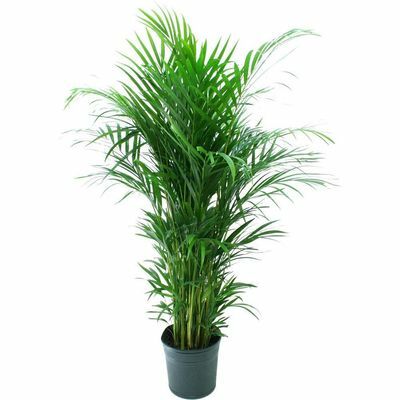 It is very resistant, both to heat and cold. 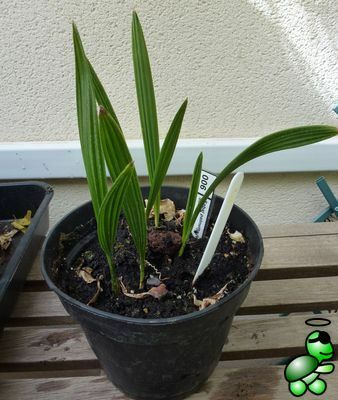 I have two specimen in my collection, one already grown-up found near where I live and another grown from seeds. Included in my collection in 2013-02. 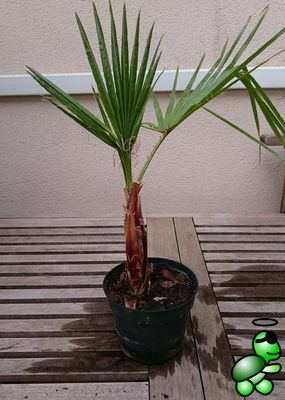 The Sabal Palmetto is another of these beautiful fan palm, with the dead leaflets giving a very distinctive pattern of the trunk. 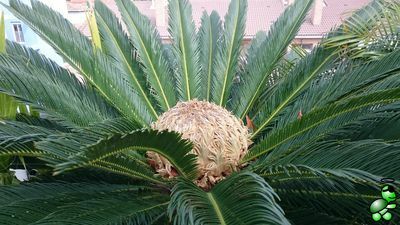 I love the robust aspect of this palm. Included in my collection in 2013-02. 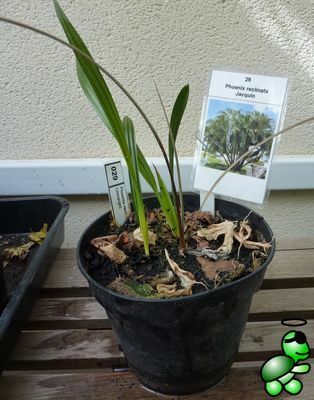 The phoenix roebelenii is another of my favourites. 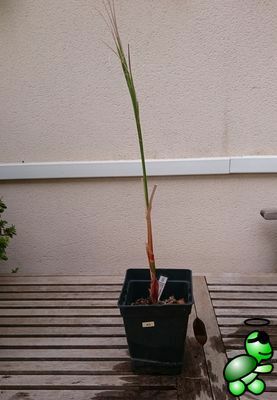 The trunk of my specimen has now reached some 80 cm height. 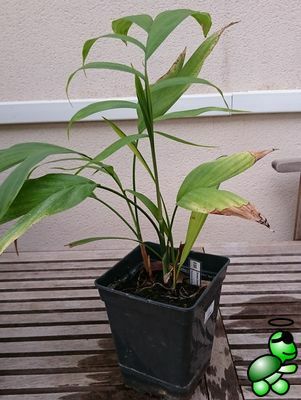 Last year it suffered a severe attack from red aphids, but it is recovering well. Included in my collection in 1900-01. 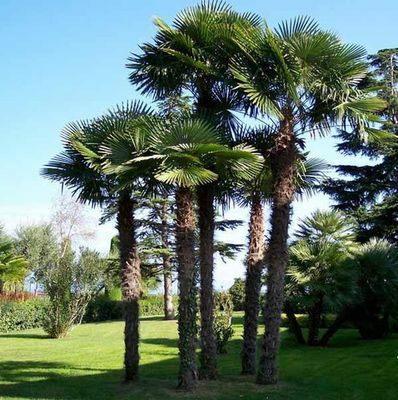 The queen palm is another of my absolute favourite palms. 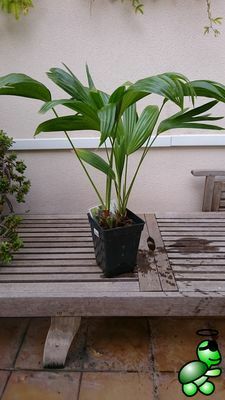 It has a beautiful flat trunk with some big leaflets. 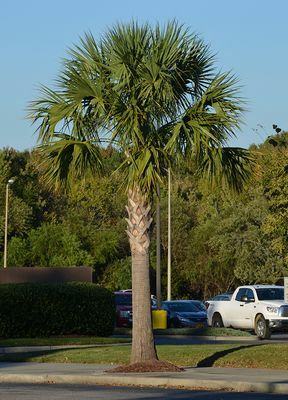 While it is not a local species, it is quite frequent in this area. 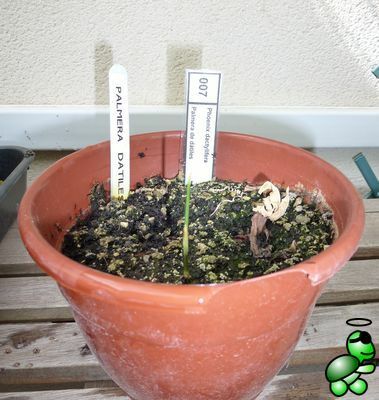 I have two specimen in my collection, one that I purchased already grown up and another that I have grown from seeds. Included in my collection in 2013-02. 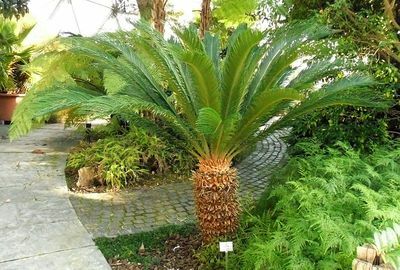 The cycas revoluta used to be more rare to find, but during the last year a lot of palms have been grown and the prices have fallen. 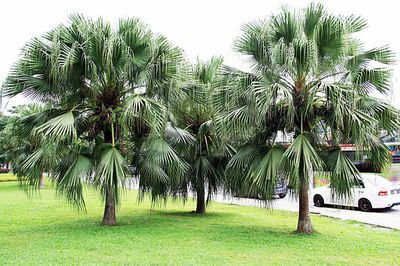 It is also easy to pick seeds from palm planted in public places. 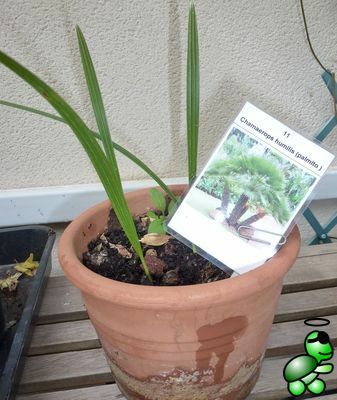 My cycas revoluta is now some 10 years, and will have seeds for the first time. Included in my collection in 1900-01. 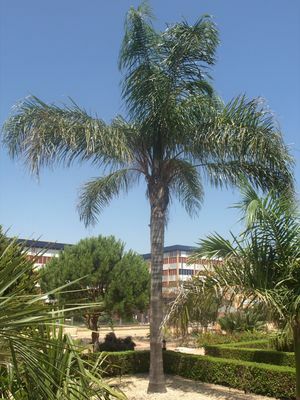 I think the Sand Palm will enjoy the environmental conditions here in Spain. Included in my collection in 2013-02. 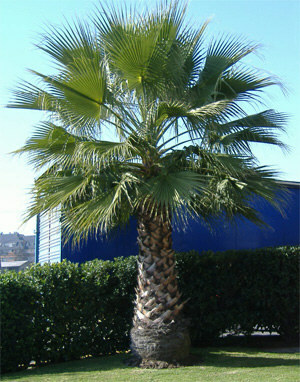 The Wild date palm has a particular way of growing, which I found attractive. Included in my collection in 2013-02. 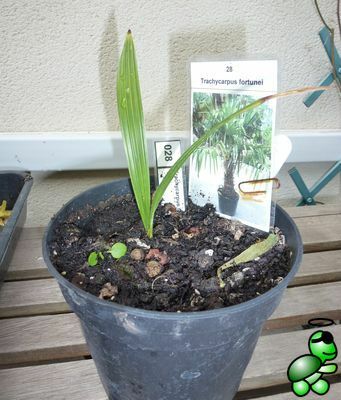 Ok, so the yucca aloifolia belongs to the yucca genus and it is not tecnically a palm tree. But, I have decided to include it here anyway. 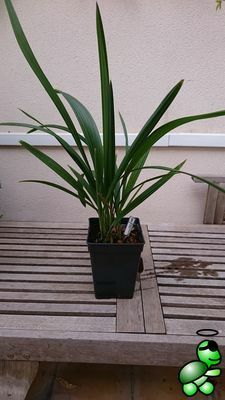 This is not really one of my favourite plants, but it will have a given place in my future garden. Included in my collection in 1900-01.